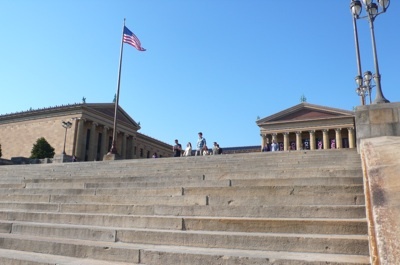 As famous as the statue itself are the stairs leading to the East Entrance of the Philadelphia Museum of Art, aka “The Rocky Steps.” Making the iconic trip up the steps is regarded as a symbol of perseverance and determination. 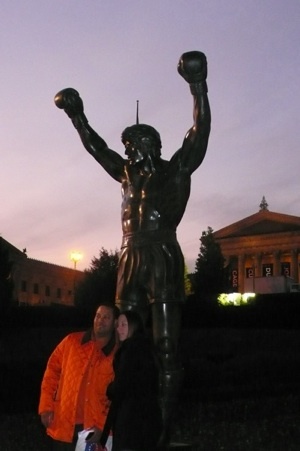 One of Philadelphia’s most famous pieces of public art is a bigger-than-life boxer… literally. Originally created for Rocky III, the sculpture is now a real-life monument to a celluloid hero. 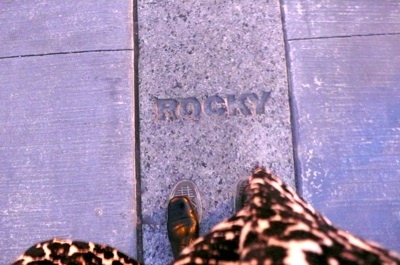 The fictional Rocky Balboa of Sylvester Stallone’s Rocky movies was immortalized in bronze in 1980. 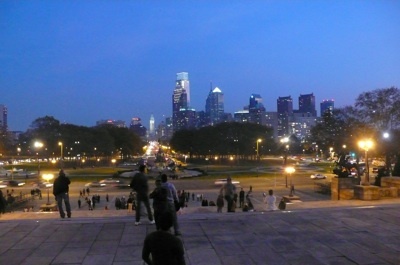 After filming for the movie completed, Stallone donated the statue to the City of Philadelphia. 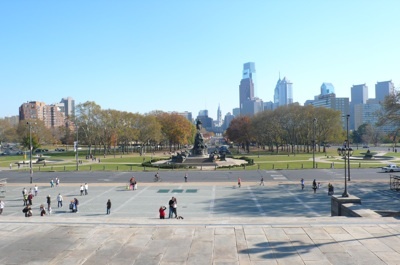 The statue is located at the bottom of the stairs at the Philadelphia Museum of Art, so be sure to get a photo with Rocky Balboa himself.